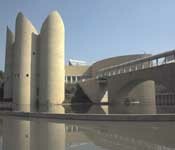 Chandigarh is the first fully planned city of India. It is popular for its urban planning and excellent architecture. Chandigarh houses numerous architectural projects which were designed by Albert Mayer, Pierre Jeanneret, Le Corbusier and Matthew Nowicki. A survey conducted by Ministry of Urban Development to choose the cleanest city in India witnessed Chandigarh emerging in first position. The partition of India in the year 1947 witnessed the splitting of the country into India and Pakistan. The partition also divided Punjab state. The result of partition demanded a new capital for Punjab state to replace Lahore which was now part of Pakistan. Jawaharlal Nehru wanted to display the progressive outlook of the country after Independence, so he planned to develop a modern city and the result was the birth of Chandigarh. Chandigarh was aptly described as city with glorious traditions of past and symbol of country’s faith in future by Nehru. Le Corbusier a Swiss born French Urban planner and architect has designed various buildings and lanes in Chandigarh city in the early 1950s. The planning of the city was initially under taken by the American Architect Albert Mayer along with Polish Architect Matthew Nowicki. The sudden demise of Nowicki made Le Corbusier to involve with the project. Le Corbusier who had enormous experience in town planning after taking over the project produced elaborate plans to design a city with all modern amenities and norms. The principles of CIAM which included anthropomorphic plan, division of urban functions, pedestrian network and hierarchy of road were developed. The architectural maps and designs of various buildings lanes, office premises and Govt buildings had to be converted into a live structure using mortar and bricks. Many of the ideas conceived by Nowicki and Mayer like City center, Capitol, linear parkland, University and Industrial area were implemented in the same pattern. But the curving outline was converted into a rectangular mesh. Boulders and bricks were used for producing strong concrete surface. This construction ideas emerged as the standard architectural form of Chandigarh which adorned the city with abundant parks and gardens. The planning of the city was undertaken to initially accommodate 1 lakh fifty thousand people and in second phase to make the total population to five lakh. The city was divided into small administrative units called sectors which were a self sufficient area with all amenities. All these sectors were interlinked using a road and path network. The path network contained 7 Vs, with V1 representing broad roads connecting Chandigarh with other cities and V7 representing street paths to each houses. In the later years a V8 was included to accommodate pedestrians and cyclists. All the sectors are rectangular in pattern and are identical. Each sector has an area of 800 m x 1200 m. These sectors were developed to act as independent dwelling units with all facilities like schools, colleges, hospitals, community halls, garden, parks and shopping areas. The sectors are serially numbered from 1 to 47 omitting 13 (being an unlucky number). The important Govt buildings like High court, Assembly and secretariat which were specially designed by Le Corbusier and displays the architectural splendor is placed in sector – 1. Le Corbusier was very particular in ensuring that no industrial construction areas were established in the vicinity of city, hence he ensured a sixteen kilometer green belt around the city to provide greenery and fresh air. Le Corbusier left majority of city's architecture work to his project members and he focused on overall master plan. He took up the challenge of designing some of the important buildings like Secretariat, High Court, Art Gallery, Museum, Lake Club and Art School. 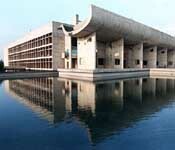 The most prominent building designed by Le Corbusier is Court House which houses the High court. The structure stands tall as compared to eight other lower courts. He was assisted by his cousin Pierre Jeanneret, an English couple Maxwell Fry and Jane Drew and a team of 9 Indian architects in accomplishing this daunting task. However, the city of Chandigarh does not resemble two of the most prominent cities developed by him, the Ville Radieuse and Ville Contemporaine. Chandigarh now stands as a classic symbol of excellent town planning with all amenities. 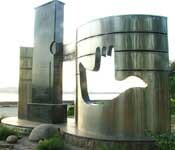 The city remains an area of interest for historians, architects, planners and scientists. Chandigarh city is also famous for its two satellite cities, Mohali and Panchkula. The triangle of these three cities is collectively referred to as Chandigarh Tricity.